After all the times that doctors have warned about the negative effects provoked by cigarettes, people keep smoking them often. As this study released Monday and performed by international researchers explained, the majority of them continued consuming tobacco right after they tried their first cigarette – even for a short period after. Only a few number decided to stop and never do it again for a long time. Despite the fact that there have been studies claiming that Americans of all ages are starting to replace conventional cigarettes by vaporizers, a large number of people still prefer to smoke the first option. But unlike vaping, whose effects – both positive and negative – still need to be backed up by a lot of research, smoking tobacco cigarettes can lead to different health issues – like addiction, breathing problems, and cancer. The results published in the Oxford University Press peer-reviewed journal Nicotine & Tobacco Research suggested that more than a half of adults, English-speakers living in developed countries between 2000 and 2016 tried at least one cigarette, but less than a half of those decided not to keep doing it. Using the data of more than 216,000 people from the UK, US, Australia and New Zealand – collected through eight surveys found at the Global Health Data Exchange – the scientists showed that around 60.3 percent of individuals tried smoking tobacco cigarettes, and an estimated 68.9 percent of those kept it as a daily habit. According to the scientists, this study highlights how important is to prevent people from smoking the very first cigarette. As the co-leader of the research said, this is the first time that experts document the “remarkable hold that cigarettes can establish” after a single experience using such a large set of data. Peter Hajek, from the Queen Mary University of London, expressed that this research will make “young people” think twice after trying the first cigar. Doctors first saw that the digit of adults who continued smoking after the first cigarette could be between 50 and 82 percent. But at the end, from those 216,000 individuals studied between 16 years, they estimated that number of people who took smoking as a daily habit was 68.9 percent. The experts believed that the research might have been skewed because people who smoked were less likely to respond the surveys than those who didn’t smoke. However, they didn’t see anything to worry about. They only adverted that the results are limited because the individuals answered based on self-reported information. According to the Office for National Statistics, 19.9 percent of British adults smoked ordinary cigarettes in 2010. Fortunately, that number decreased six years later to 15.5 percent. Likewise, 25.8 percent of young people between 18 and 24 years old smoked in 2010. But similar to adults, that number decreased to 19.3 percent. For Deborah Arnott, the chief executive of the charity Action on Smoking and Health, the government can do much more than what’s doing right now. According to her, authorities are “refusing” to introduce licensing for tobacco retailers, although both “the public and retailers” actively support this strategy. However, the public health minister from the UK sees it differently. “Britain is a world leader in tobacco control, and thanks to our tough action smoking rates in England are at an all-time low,” Steve Brine said. “We recently launched a new tobacco control plan to map the path to a smoke-free generation and are working to educate people about the risks and support them to quit for good.” – the BBC reported. 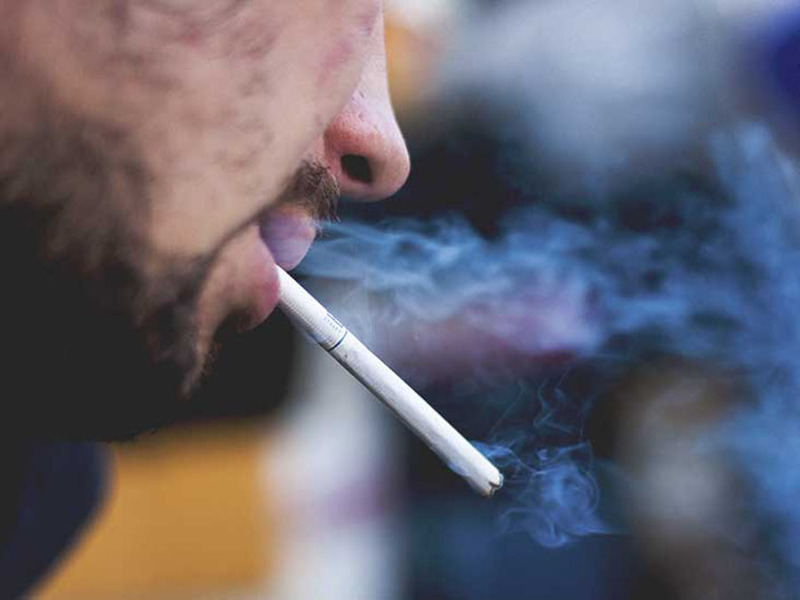 Cigarette smoking is the leading cause of preventable disease and death in the US, according to data cited by the Centers for Disease Control and Prevention.